In August, Eli Manning claimed that he believed he is an elite quarterback in the NFL. Fans and the media laughed at this statement saying that Eli didn’t even deserve to be mentioned in the same sentence as Tom Brady, Peyton Manning, Drew Brees, and Aaron Rodgers. As a Giants fan with full trust in Eli Manning, I backed his statement by agreeing with him 100%. As we reach the half-way point of the 2011 season, Eli ranks fifth in the league in passing completion, third in quarterback rating, and seventh in total passing yards. Clearly these stats prove that this guy is a top five quarterback in the NFL. He is hands down the leader and the MVP of the Giants this season. With a suspect/injured receiving core, Manning has made these guys look like pro bowlers. 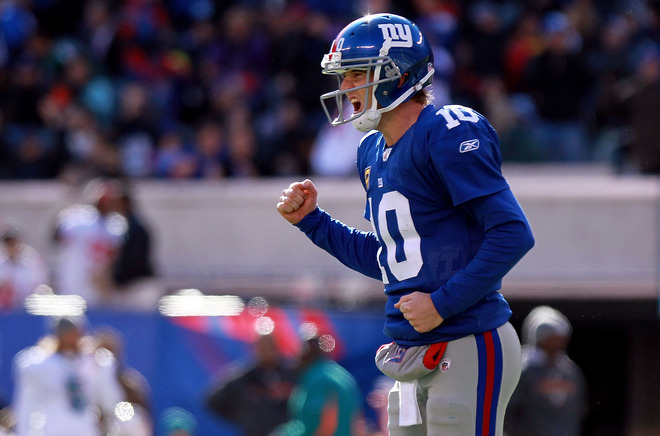 Yesterday, Eli saved the Giants from handing the Dolphins their first win with his accurate and clutch passing. Critics believed the Giants were going to have a miserable season since they didn’t sign any big-time free agents and lost a number of key players to injuries during the preseason. But Eli has lead the GMen to have a 5-2 record and the future is looking bright for Big Blue. As the Giants reach the gauntlet part of the season, I have confidence with this team. The defense looked suspect in the first half yesterday, but came through with a strong fourth quarter and stopped Miami on their final five drives. With Tuck back in the lineup after missing the last three games, this squad is getting healthier and stronger. Like I said at the beginning of the season, it’s better for a team to have injury problems at the beginning of the year as opposed to down the stretch. Losing Terrell Thomas in the preseason hurt for the Giants, but they had plenty of time for Aaron Ross to get accustomed to start at corner. The Giants are in Foxboro to take on New England next Sunday, followed by San Francisco then home against the Eagles. We are already know the Giants have an elite quarterback, but it’s now time to find out if the GMen are an elite team. 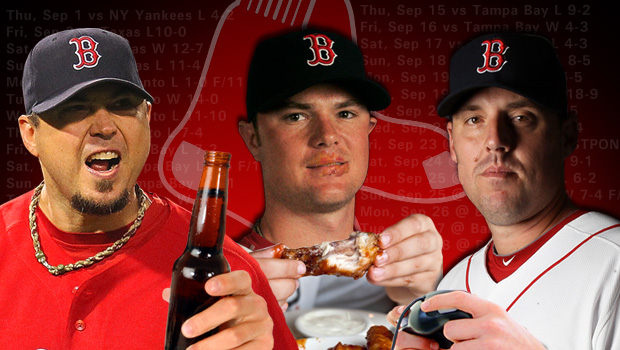 How do the Yankees Fix up the Team for 2012? The 2011 season by all accounts was an interesting one for the Yankees. They often defied odds and continued to win games when many thought they couldn’t. Despite this the Yankees still fell short of their yearly goal of winning a world championship. The good news for the Yanks is that they have a lot of talent still, the problem is it’s not spread out amongst positions. The Yankees clear fault this past season was in starting pitching, despite having a statistically successful year. In the playoffs it was hard to rely on anyone not named CC Sabathia, despite the emergence of many unexpected starters. The problem continues into the offseason as basically the entire starting staff is in flux. 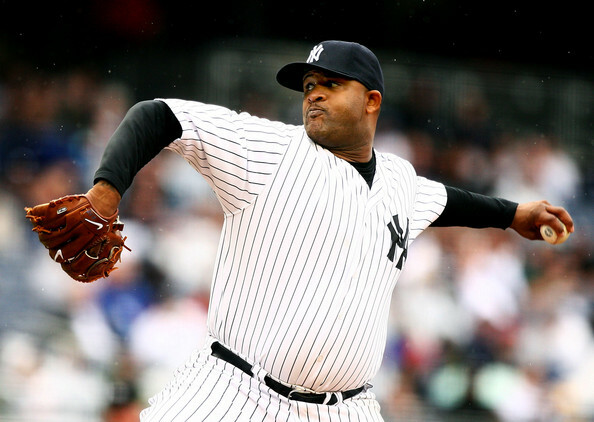 The biggest issue facing the Yanks is CC Sabathia. He can opt out of his contract and is expected to do so. This could be OK as long as he stays with the Yanks. There were fears when he signed that CC didn’t want to pitch in NY, but instead somewhere out west. This fear still looms a bit despite the fact that he has openly said he loves it here. Personally I believe that CC will stay, but I am worried. The new contract that he signs will most likely be 5 or 6 years, which would extend him to age 37 or so. Beyond CC the worries mount. Youthful pitchers Ivan Nova and Phil Hughes are certainly expected to be part of the rotation next year but both have shown inconsistency or inexperience at times. Ideally you would like these two to be your 4th and 5th starters, or 3rd and 4th at worst. Then there is AJ Burnett. Oh AJ what do we do with you? Are the Yankees obligated to put him in the rotation for next year? Or with his time dwindling in pinstripes, is it possible they choose to not ride the AJ roller coaster another season? For now you can’t expect him to be anything but perhaps the 5th starter. The Yankees certainly have other options in the minors, but it seems like in their best interest to make another move or a starter. The options out there will include Yu Darvish, a Japanese protegy who could be coming to the US, CJ Wilson, Roy Oswalt, or perhaps Mark Buerhle. All these options seems interesting, but we’re not sure which will be available and which are actually good viable options. We will look more into this as the offseason gets into full swing. The Yankees bullpen looks very good right now, but look for them to make a move or two anyway. Perhaps a reliable lefty out on the market, or an affordable former closer who could help them out. 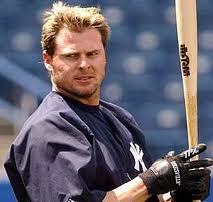 Offensively the Yankees should be picking up the options of Nick Swisher and Robinson Cano. Jorge Posada might have played his last game in pinstripes so the bombers could be shopping for a DH option if they don’t plan on Jesus Montero filling that role. Otherwise it could be role players that the Yankees are shopping for. Guys like Eric Chavez and Andruw Jones were great guys for the bench and hopefully they can find guys like that again for 2012. For now we must focus on the issues of starting pitching, and at least one solid addition must happen for them to be successful in 2012. Rex Talks the Talk; And Finally Backs It Up. After another week of smack talk from Rex Ryan, the Jets finally decided to back his coach up with their play on the field, particularly in the second half. The first half, to be honest, was more of the same Jets that have looked sub-par at best to start the year. The offense was anemic, they had let up 21 first half points, turned the ball over on offense. Needless to say going into the second half I didn’t give them much of a chance. But the Jets defense and running game stepped up big time. If you’ve been a reader on here you know I’ve been preaching since week one the need to run the ball. And that’s exactly what the Jets did. 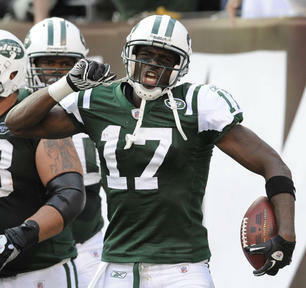 Shonn Greene looked like the guy people expected him to be, and Sanchez managed the game well from there. It was great to have a Plaxico Burress sighting, because despite reports otherwise, I was beginning to think he was in fact still in jail and not on the Jets sideline. But Sanchez finally used him for what he was intended for. He was a presence in the redzone, looking in that area. He didn’t get any shorter in jail and with him getting more time in the offense and more into football shape, I expect big things from him in the second half of the year. All in all I was definitely pleased with the Jets performance this week. The defense stepped up huge in the second half when it had to, making Phillip Rivers look like Kyle Boller at times. Keep up this intensity, and the Jets will be right where they need to be come playoff time, and hopefully by the offense will be clicking on all cylinders. Last weekend featured two huge upsets in the top ten as Wisconsin and Oklahoma went down. The Badgers lost on an epic hail mary play to end the game, while Oklahoma got out gunned by the potent passing attack of Texas Tech. These losses open up opportunities for many other teams in the top ten to compete for a National Championship. For this week’s top ten we will look to see where some teams fell to after losses, and which teams are right there for a shot at playing in the big game. Once again a little late on this, but last nights showdown in Arizona wasn’t exactly very fun or interesting. This weekend there aren’t a ton of big games quite yet, but the biggest for sure is Wisconsin-Michigan State. This is probably the toughest test of the season for Wisconsin, and if they get through this they are favorites to going undefeated and at worst go back to the Rose Bowl. Michigan State got slapped around by Notre Dame but they looked very good last week against Michigan. The Spartans have a great defense, but perhaps not the kind of offense Wisconsin sports.